If you’re looking for a local sober house where you can continue to work toward your recovery goals while transitioning from treatment to a more normal routine then you’ve come to the right place. Many major cities and states have local sober house options where addicts are able to get the help and support that they need while they continue to work on their addiction recovery. Here you will find information about sober living in many different states. If you don’t see your state listed or you need more information, please feel free to contact a Sober House associate for more information or a free referral at 800-373-1667. Sober House .com is dedicated to helping addicts and recovering addicts to find local sober living programs and environments that can help them to continue working toward their recovery and long term sobriety goals. Whether you are interested in learning more about sober living homes in a particular area, you have question about the types of sober living homes that can be found in a particular state or you have other questions, you can find the answers here at Sober House .com. 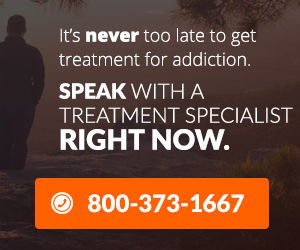 Sober living programs are offered throughout the country in an effort to help those recovering from addiction to smoothly transition from a life of addiction to a more normal routine where they can be considered functioning individuals of society. No matter how long you have been addicted to drugs or alcohol or how difficult the recovery process has been for you, sober living can help you overcome the battle and prepare for life on your own. In a sober living home you will still have some monitoring and support that can help remind you not to drink or use drugs. Additionally, sober living homes are typically a low cost option which allows you some more time to get back on your feet before you go taking on your own apartment or home and all of the bills that come with such living. If you or someone you love needs help finding a local sober living environment, call 800-373-1667 to speak with a Sober House specialist today.